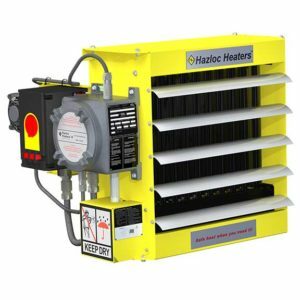 Check out our Explosion-Proof Electric Unit Heaters. 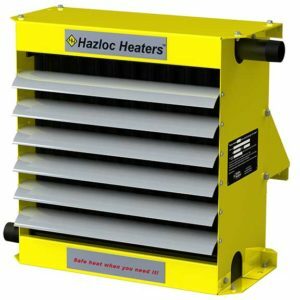 Check out our Washdown/Corrosion Resistant Unit Heaters. 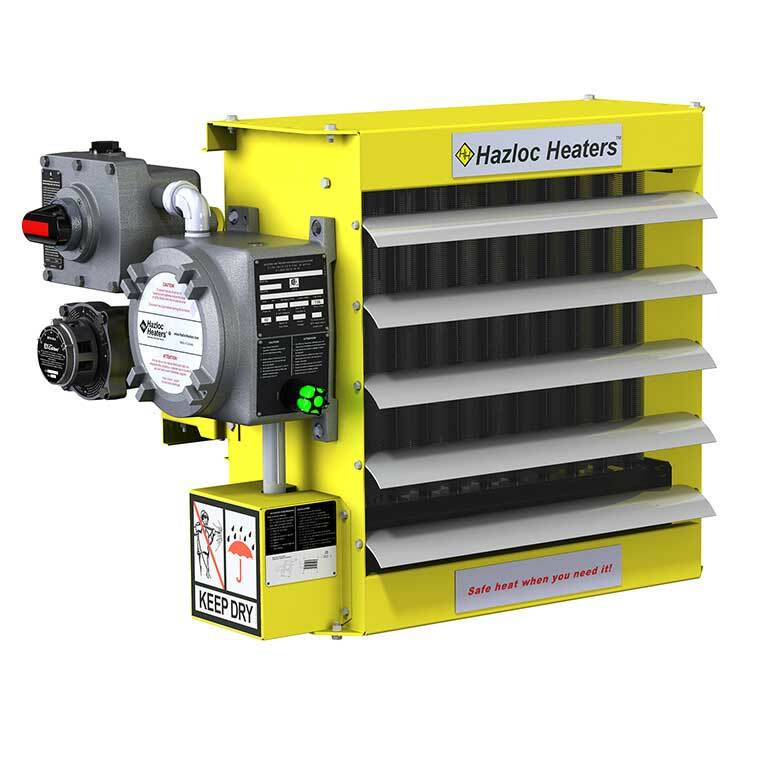 Check out our Heat-Exchanger Unit Heaters. Check out our Mounting Brackets. Models available from 3 to 30 kW, and 230V/50Hz, 400V/50Hz and 480V/60Hz. Utilizes our ExCaliber™ evacuated and sealed liquid-to-air heat exchanger core which provides faster warm-up time, even heat distribution across the face and the highest operating efficiency. 14-gauge steel cabinet with yellow epoxy/polyester coating. Protected by a high-quality stainless steel pressure relief device, automatic reset high limit, and a back-up manual reset high limit. Certified to Canadian and U.S. standards for use in dry indoor industrial applications where explosive gases or dusts are present. 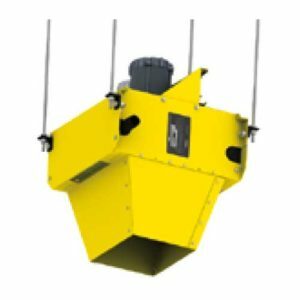 Models available from 3 to 35 kW, ranging from 208V to 600V. 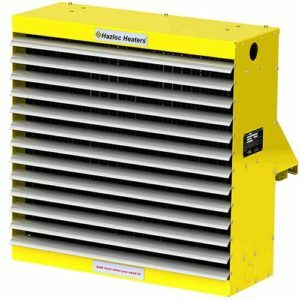 Suitable for Class I, Divisions 1 & 2, Groups C & D; Class II, Division 1 & 2,Groups F & G; Temperature Code T3B (3kW/35kW =T3A). Field convertible from built-in thermostat to wall mount thermostat & vice versa. 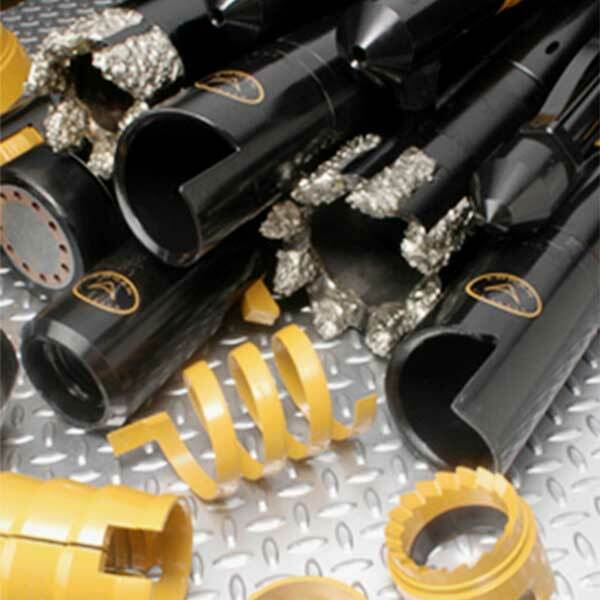 For use in non-hazardous, severe-duty industrial applications where moisture and corrosion exist. Models available from 2 to 47 kW, ranging from 120V to 600V. Type 304, 16-gauge stainless steel housing construction. Industrial grade, type 304 stainless steel tubular elements with stainless steel fins. NEMA 4X non-metallic enclosure houses element terminals and built-in controls. 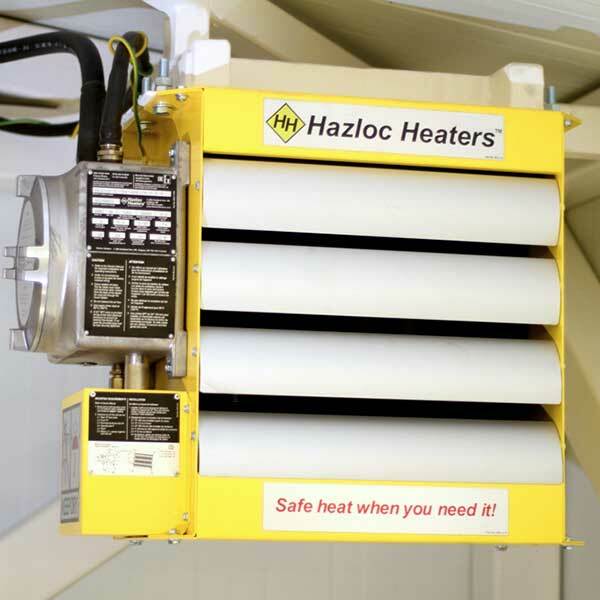 Watertight construction can be hosed down without disconnecting the heater. 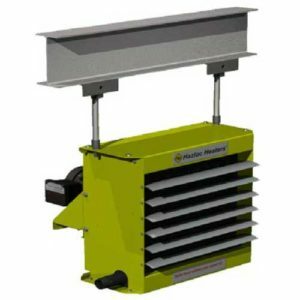 Powder-coated aluminum fan blade suitable for corrosive salt spray environments. An optional secondary manual reset over-temperature cut-out is also available to meet U.S. Coast Guard requirements. Our high performance heater series that is available in both Horizontal and Vertical projection models designed for industrial applications that can be used with a variety of heating systems such as steam, glycol and hot water, or in liquid cooling applications. Maximum operating pressures up to 450 psig (3,103 KPa) and maximum operating temperature of 550°F (288°C). Minimum 14-gauge steel cabinet construction with epoxy/polyester powder paint. 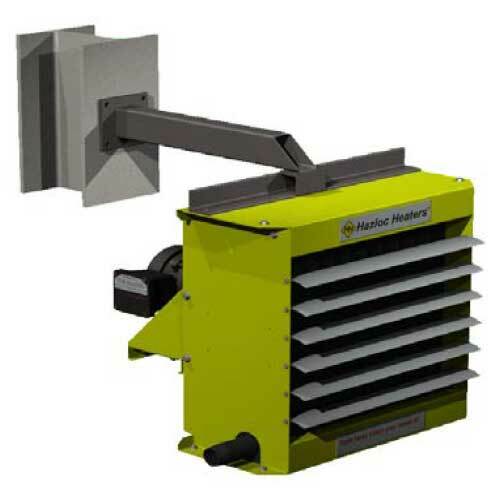 Horizontal and Vertical projection models available with various discharge types. Easy-off fan blade replacement feature. 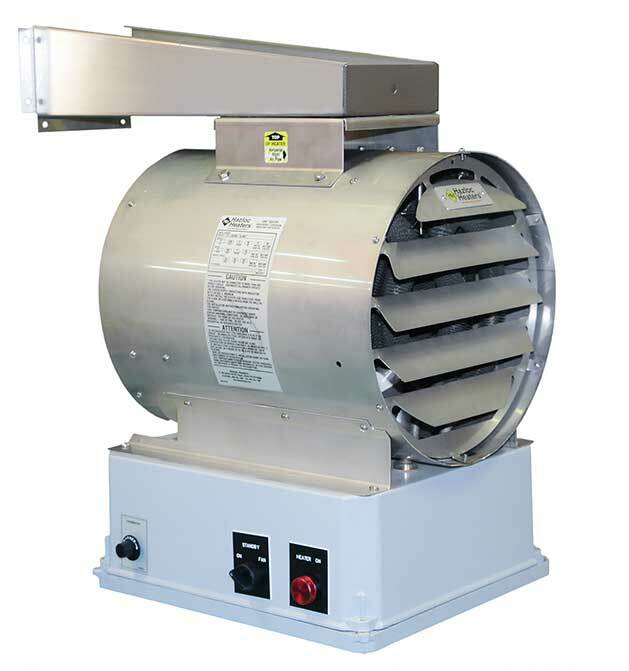 Motors ranging from 115 to 575V, with the option of general purpose or hazardous location motors. Optional welded-on flange connections available. 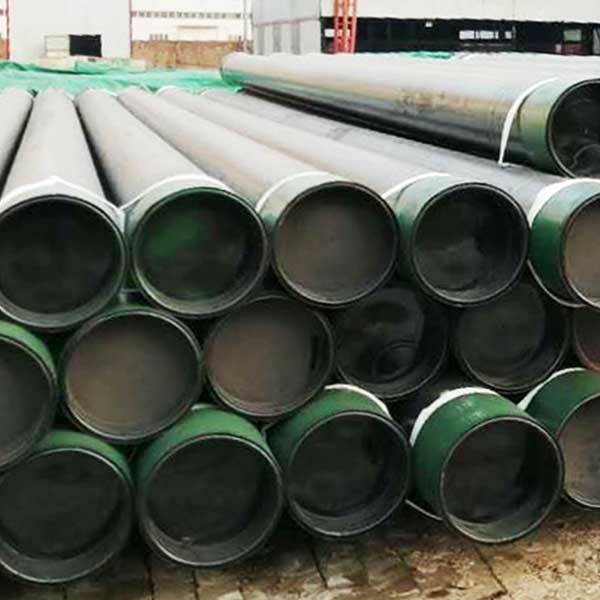 Optional Heresite coated core and cabinet available. 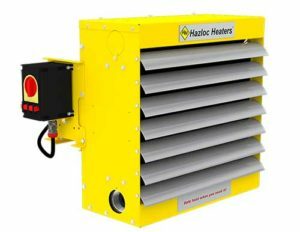 Designed for industrial applications that include space heating and liquid cooling. 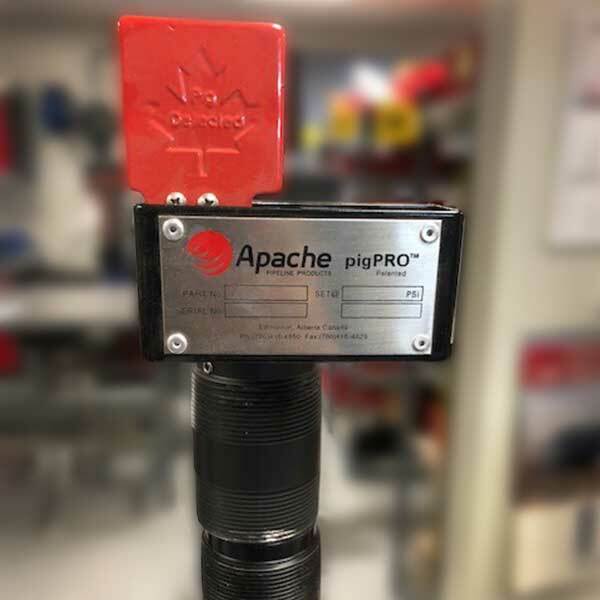 Maximum operating pressures up to 400 psig (2,758 KPa) and maximum operating temperature of 550°F (288°C). Reversible core connection feature allowing core to be reversed in the field. EAC Ex models available (contact factory). 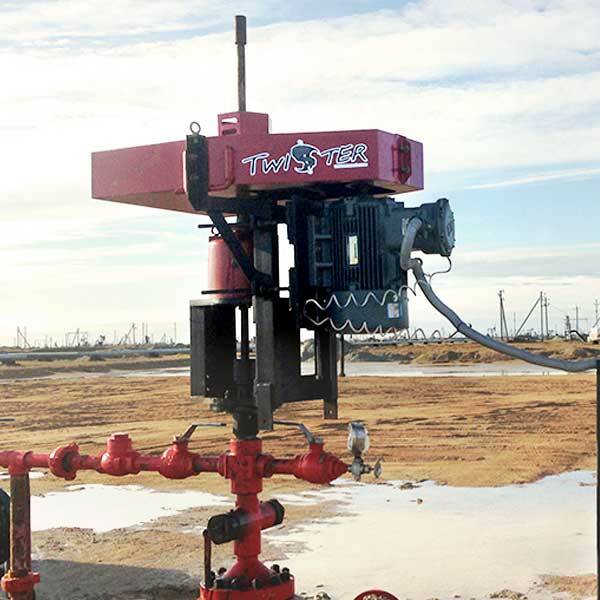 Steam Rig Heater designed for applications subject to freezing conditions such as drilling rigs. 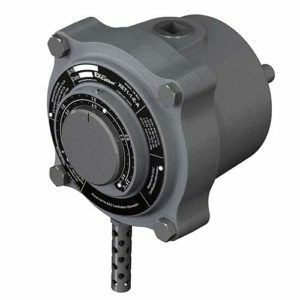 Maximum operating pressures up to 150 psig (1,034 KPa) and maximum operating temperature of 550°F (288°C). 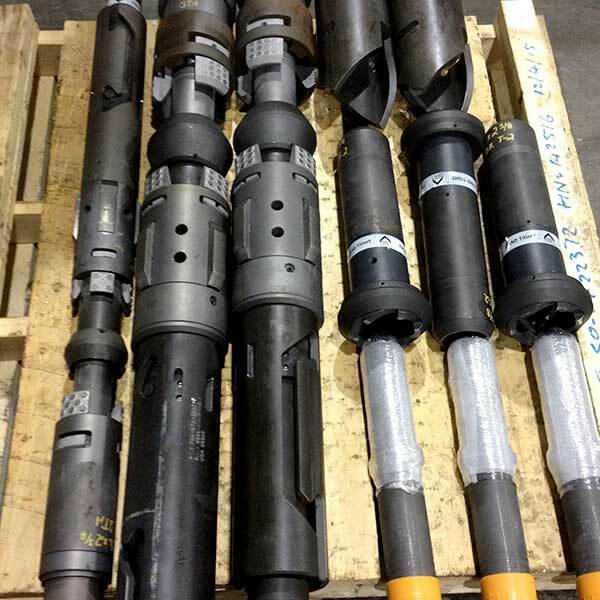 Suitable for steam applications primarily on drilling rigs. Includes our SafeDeform™ top and bottom core headers which are designed to deform to the increased volume, due to ice expansion, during freeze up conditions. Reversible core connection feature that allows core to be reversed in the field. BTX1-E-A bi-metal explosion-proof thermostat suitable for heating or cooling applications internationally (480V, 22 Amps resistive). 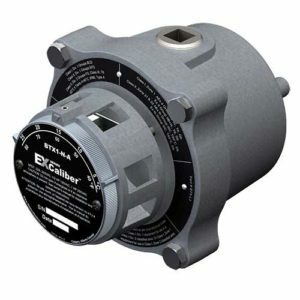 XET1-1-E-A electronic explosion-proof thermostat suitable for heating applications internationally (requires 24VAC power supply). 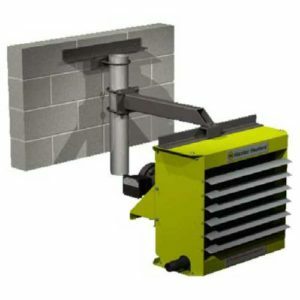 For applications where the support arm can be bolted or welded directly to structural steel concrete. Ideal and economical if adequate overhead structure exists. Requires 1/2″ pipe, cut and threaded (min. Sch. 40 not supplied). For buildings with insufficient strength to use other types of mounting brackets. Requires 3″ in. pipe (3.5″ in. O.D., min. Sch. 40, not supplied). 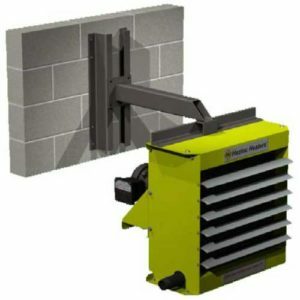 For use in buildings that have substantial walls. The Z sections provide additional support where necessary.